Hello everyone! Thank you for your interest in this blog post. I hope the information below will help you in deciding between an apartment or homestay during your internship. I’m writing this post because I was lucky enough to experience both options. Both were great experiences, but one could benefit you more than the other, depending on the kind of person you are. 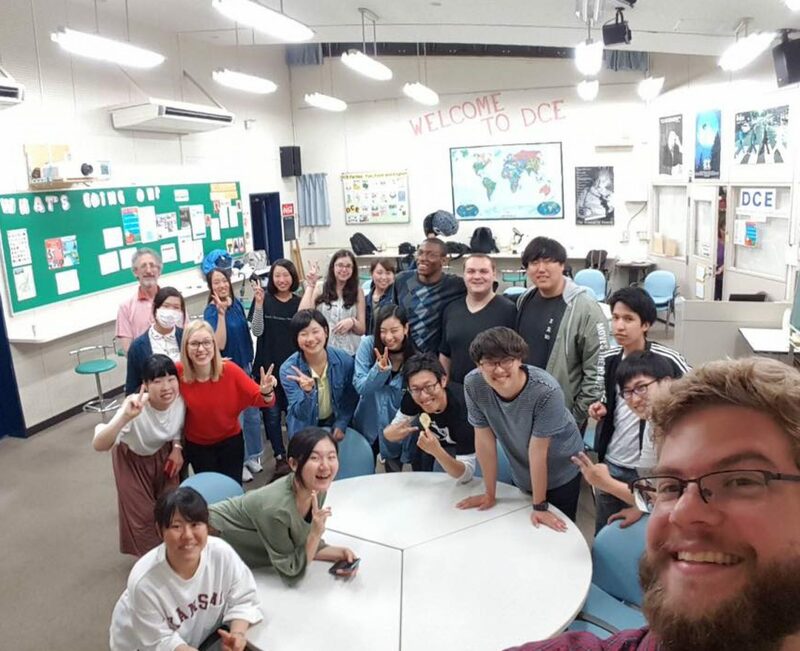 As a Japanese major, I preferred the homestay and that is because I was able to practice and learn new vocabulary on the spot with my homestay parents. They will always be happy to teach you new words, phrases, or fix your grammar. They will want to learn some English too, from time to time, and that’s a pleasure as well. Not only will your homestay parents enjoy teaching you Japanese, but they will teach you many other things as well. If you are with a homestay family, you can find out where the cheap but good local restaurants are, the rip-offs and tourist traps, as well as the places that are worthwhile. Essentially, you will be brought up to speed on things regarding Hitachi and Japan as a whole. For example, Mr. Sagawa told me about the best ramen place to go to in Tokyo. I haven’t been there yet, upon writing this, but I passed the information on to my girlfriend. She said it was the best ramen she’d ever had in her life. When she went, the owners were surprised because they don’t get too many customers from abroad there. It’s called MARUFUKU ramen, for your information! Of course, you can find out many things from the students as well, so please ask them too! In a homestay, you have the chance to try many different Japanese dishes. If there is anything you want to try, your homestay parents will do their best to provide. Mr. Sagawa found out that I love fish eggs so he got a whole bunch just for me. Eventually everyone else got tired of them, but for the time being I was grateful. They’re so expensive in the USA, ya know? Among what I liked, there were many pleasant surprises too. Sama is an awesome grilled fish dish! Beef Curry! Sushi! Ramen! Shimesabe, and plenty of other fish that I hadn’t heard of. If you are worried about portion sizes, don’t worry! They will fill you up. Actually, if you are on a diet or want to lose weight, a homestay might be a bit tough because they provide you with a lot. Of course, they’ll also assure you that leaving food on the plate is fine. Taking a Japanese-style bath is a blessing. After a good day of hard work, you can rinse yourself off with a nice bucket. Not being constantly hit by shower water is nice and it feels easier to clean yourself in a Japanese bath. Why? I don’t know, but the fact that the water is not constantly running makes me feel okay to take my time. Then after you’re all washed up, you can sit and relax in the tub that will keep your whole body warm. You can do this in the apartments too, it’s just not ideal! I will explain that later. One thing that I appreciated about the apartments was that I could eat however I wanted to. In a homestay, you eat together. Sometimes I just wanted to eat a quick snack while working on a project, whereas with a homestay, dinner time is the main time that you and the hosts communicate, so it’s a little rude to just take their food and get to work or do work at the table during dinner. If you are really pressed for time, I am sure they will understand if you tell them beforehand. If you do not know Japanese, homestay families will still do their best to communicate with you, but it might be really tough depending on how good your and your homestay family’s communication skills are. If you are someone that really wants to be a part of regular family activities like watching TV and dinner table discussions, that will be there for you! Just don’t expect everything to be perfectly clear. You choose what you will have for breakfast, lunch, and dinner. Homestays will accommodate you from time to time, which is great, but if you like that freedom of decision an apartment is a better choice. I personally loved being surprised during my homestay but having the decision to pick from a large variety of Japanese cuisine on my own was also fun. If you would like to cook a variety of things then I would still recommend the homestay. A homestay will have more cooking tools for you than the apartments will. The apartments only have one gas stove, a toaster oven, microwave, and rice cooker. It depends on the room that you get, but you might also land one with an electric stove, and possibly without one of the things that I mentioned above. In addition, your host family can provide cooking tips, and it could turn out to be a fun family activity. Some homestay families would rather not have you bring a guest (or guests) over to their home for various reasons. In any case, with an apartment you can have small parties or make quick plans to go out anytime! You can stay up as late as you want. You can do so in a homestay as long as you are quiet. The walls are thicker in the apartment so you can sing and dance with a medium noise level there. I was just spoiled by the size of the bathrooms in the homestays. 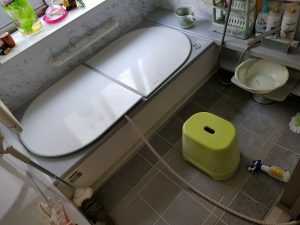 You have plenty of space to stretch and wash every inch of your body without worrying about getting dry things wet in a homestay because the washing area and the toilet room are separate. I suggest not having too many things in the bathroom, or to just be highly aware of your surroundings when washing yourself. That being said, I was still able to enjoy a Japanese-style bath at the apartments. Instead of filling up the tub and washing myself by using a separate water source (which is what you do in a homestay), I just filled the tub a bit more and pulled water from that with a small bucket. You could just wash yourself with the shower and then fill the tub up but I prefer the bucket way. After washing myself, I could sit in the bath without waiting for it to fill up, and relax. The bath itself is not wide, but it’s deep so it’s still great! The space of the bathroom in comparison to my body. The apartments are actually really clean! The cockroach is more of a common bug here than a sign of uncleanliness. That being said, you are more likely to see them in the apartments! Maybe the neighbors were messy though? Or it might have been because the building is old? I’m not sure as to why they were there but I haven’t seen them in a homestay yet, so if you can’t handle bugs then maybe the homestay is the way to go. The host families I had did my laundry! They had great machines to do so, too. The machines at the apartments are a bit weak. Try the ones on the third floor though, they are newer. Drying will take one hour to an hour and half. Paying a fee to use them is one thing, but when the machines only accept 50 or 100 yen coins it can become a problem to save those specific coins for doing laundry. If it becomes too much of an annoyance to do so, you can always try the laundry service across the street. Thank you for reading! I hope this helps you or was at least entertaining! If you are interested in learning more about apartments I recommend this intern’s post.